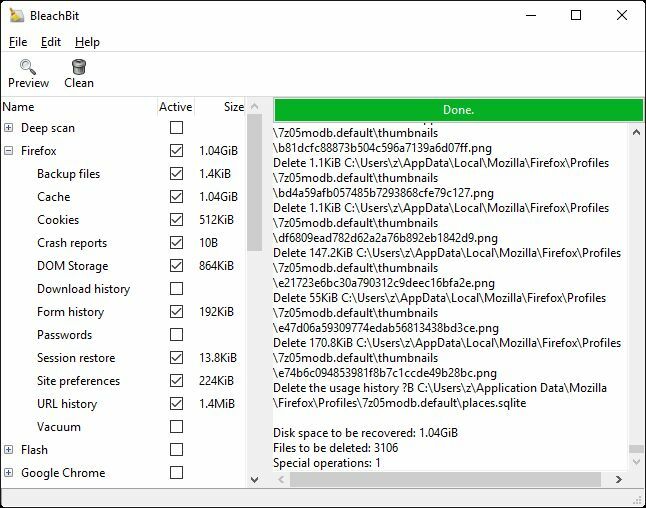 BleachBit is a system cleaning utility that can free up hard drive space and safeguard your privacy. Free cache, delete cookies, clear Internet history, shred temporary files, delete logs, and discard junk you didn't know was there. It supports 90 applications including Firefox, Internet Explorer, Adobe Flash, Google Chrome, Opera, Safari,and more. It also has safe deletion options that can make files impossible to recover. This is the portable version of BleachBit, which does not require an installation.